Vembu BDR Suite provides business continuity with minimal downtime in the events of data loss caused by unexpected disasters. Vembu CloudDR provides additional data protection which helps users to replicate data from the Vembu BDR backup server to the Vembu CloudDR Server. It gives a foolproof protection to business critical data by storing them on Cloud storage which ensures geo-redundant data security and can be directly restored anywhere, anytime from the Vembu CloudDR Server whenever required. Live Data Transfer: Instantaneous data transfer from Vembu BDR Backup server to Vembu CloudDR Server. Highly secured & Encrypted Cloud data: Vembu CloudDR is protected with AES 256 bit encryption algorithm thereby ensuring secure data transmission over the internet. Pay as You Go: As an introductory offer, CloudDR comes with 10GB of free storage and also pricing for CloudDR is highly affordable. 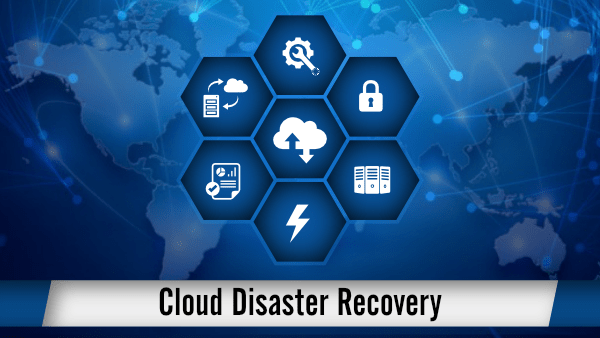 Instant restore: Despite unannounced disasters/outages of all kind, the replicated backup data can be recovered with the help of Vembu CloudDR with minimum downtime. Geographically Redundant: Vembu CloudDR resides on Amazon Web Services (AWS) and is available to the regions like America, EMEA and APAC. Choose your data to be located either in the nearby region or anywhere as it is globally redundant.